Motorola G5 Plus is a powerful mid-range phone with latest Android OS and nice specifications. If own this beautiful phone, you may want to protect it from scratches, dirt, dust, shocks, and drops. Today, we’ve shared the best back covers and flip covers for your Motorola Moto G5 Plus phone. Here you’ll find cases that have been manufactured by brands that provide warranty on their products. Before compiling this list of back and flip covers, we’ve observed the ratings and reviews of the cases carefully. From the plethora of covers available online, we’ve covered only the top-rated covers. Tudia is the best back cover for Moto G 5 Plus. It is a plastic case that protects phone’s backside from scratches. Tudia is built with strong and durable carbon fiber material. It includes ports for the Moto G5 Plus power and sound control buttons. The Tudia Back cover costs 500 INR. A back cover with a decent grip and nice design, the Golden Sand Cover for Moto G5 Plus handset is made from eco-friendly materials. It looks good and has properly aligned holes that give users an easy access to the phone buttons. The back cover protects the camera and the chassis of the phone from scratches as well as dust. Golden Sand is lightweight and flexible. This cover is available for purchase for Rs 499 in black and blue color options. Case U is a cheap back cover with rubberized texture. The texture ensures a comfortable grip. Case U ensures protection from dust, scratches, and external/accidental shocks. It has higher bezels to prevent the camera cover glass from making contact with a rough surface. The back cover is tough and feather light. It fits perfectly on the Moto G5 Plus phone. Its price is Rupees 300. 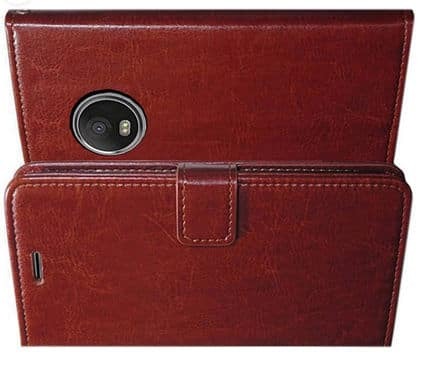 If you’re lucky, you can get this top-rated cover for Rs 99. Yet another highly recommended accessory for your Motorola mobile, this case is transparent and it is resistant to scratches, dirt, and dust. Although the cover is made from plastic, it doesn’t cause the phone to slip from the hand. The FK cover fits well on the Moto G5 phone. As it is transparent, the cover doesn’t make your phone look ugly. In other words, it retains the original look of your expensive G5 Plus phone. Its price is 299 Rupees. Cover ON is yet another great back cover for the Moto G5 Plus handset. It provides excellent grip, maximum protection to your Moto phone with the latest dual coating (premium LF) technology. The cover is durable as it is made from Polycarbonate material. Cover ON is a transparent semi-flexible cover. It is hard. Hence, you won’t find a scratch on the backside of your phone when you drop the phone accidentally on the floor. Cover On costs $8. XOOMZ Vegan is a good quality leather flip cover for your Moto G5 Plus phone. It has magnets fitted near the edges of the case. The magnets keeps the case folded. Like other covers we’ve covered in this article, XOOMZ prevents scratches on the display and rear side of the smartphone. The case can function as a stand so that you can read eBooks or watch videos comfortably. In case you don’t like the design of this cover, you can request your money back. XOOMZ Vegan ships with money back guaranteee. LK Luxury flip cover has special case where you can store your creidt or debit cards. The case enables you to carry up to 3 cards at a time. In addition, you can also save your cash in the case. The flip cover is built with the heat resistant PU leather. It includes magnets and has an inbuilt kickstand. LK Luxury features high-quality stitching. It has ports for the phone’s camera, earphone slot, power and speaker buttons. Febelo is a brown color flip cover that comes with a magnet lock. It includes sections where you can store your money, ID, or bank issued cards. Febelo employs cheap yet high-quality artificial leather. You can use it as a phone stand. The case boasts several ports to make sure that the buttons of your Moto G5 Plus smartphone fit perfecly in the cover. Bracevor is a Moto G5 Plus flip cover that flaunts an elegant design and TPU case that functions as a shock observer. If you use this cover, you don’t have to carry a wallet as Bracevor allows you to store your important ID cards, debit or credit card, and hard cash safely. The cover features a magnetic clip and a stand, which you can fold and adjust as per your requirements. The price of the Bracevor FC is 540 Rupees. 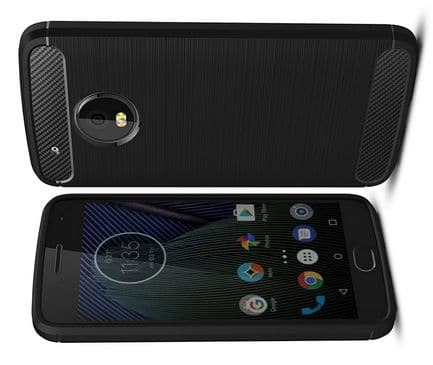 Apart from this cover, Bracevorhas launched 10 different accessories for the Moto G5 Plus phone.